Chicago new media artists Nick Briz and Jon Satrom will be in Nashville February 28th through March 3rd for a Watkins College visiting artist series. While they’re in town, Watkins professor Morgan Higby-Flowers is curating two off-campus shows featuring the artists. And he’s looking for collaborators. The first show is a NO MEDIA event on Friday, February 28th at 7:30 p.m. here at Theatre Intangible headquarters aka Noa Noa house. NO MEDIA is, as its website states, “an open improvisational realtime/performance media art event.” By “open,” they mean ANYONE can participate, including you. All types of expression are welcome, including music making, acting, dance, singing, visual art, poetry, storytelling, puppetry, etc. Here’s how it works. When you arrive, you put your name in a hat. The hosts then draw three names. If your name is called, you have two minutes to prepare. Then you perform for 10 minutes with your two randomly-chosen collaborators. This is repeated until all the names are drawn. No documentation is allowed. It happens once and in realtime. What makes this particular NO MEDIA event special is the fact that NO MEDIA co-creator Nick Briz will be performing alongside the locals. If you use Facebook, you can find out more on the Facebook event page. If you’re interested in performing, contact Morgan at mhigbyflowers@gmail.com. The second show is glitch media show happening at the Track One warehouse during the March 1st Arts & Music @ Wedgewood/Houston. At 9 p.m. the warehouse will transform into a massive multimedia experience. The show will explore digital culture, glitch art, hacking, remix culture, and experimental new media. Morgan is seeking Nashville electronic and experimental musicians and video-makers to perform. Here’s the Facebook event page. If you’re interested in performing, contact Morgan at mhigbyflowers@gmail.com. Make sure you specify which event you’re applying for. Incidentally, there’s another great event happening earlier that night in the same space. From 5:30 p.m. to 9 p.m., Carl Oliver will perform a longform modular synth improv. What makes this especially cool is that he will be performing in the center of a HUGE empty warehouse. The natural reverb is going to be out of this world. I’ll write more about this closer to the date, but in the meantime, check out the Facebook event page. The two Nick Briz / Jon Satrom events are part of RipZipRarLANd, a four-day series sponsored by Watkins College. The series also features lectures, workshops and a gallery opening. Check out the full schedule on, you guessed it, the Facebook event page. Jon Satrom undermines interfaces, problematizes presets, and bends data. He spends his days fixing things and making things work. He spends his evenings breaking things and searching for the unique blips inherent to the systems he explores and exploits. Nick Briz is a new-media artist, educator and organizer whose work has been shown internationally at festivals and institutions and is openly and freely available on the web. RipZipRARLANd is a utopic local area network inspired by experimental new-media art, located in Middle Tennessee, EVERYWHERE (192.168.0.x). A time-space constructed of old new-media memories floating within–once free/open–networks and contemporary ethics of openness and sharing. RipZipRARLANd’s piratical inhabitants employ messy and dirty experimental processes. Their digital practices have grown out of the infinite copy-ability of data and inevitable decay of digital media. They hack, reclaim, remix and share in an effort to promote and preserve a genre/medium/culture. Come celebrate experimental new-media art, glitch art, GIF culture, piratical practices, and creative problem creating. I was out of town yesterday and wasn’t able to catch Arts & Music @ Wedgewood/Houston, but from all reports, the event was a huge success! Here are some videos from the event. I will update as more videos come down the pipeline. My neighborhood will be bustling Saturday, November 2nd for the fourth Arts & Music @ Wedgewood/Houston. Participating galleries include Infinity Cat Records, Zeitgeist, Cleft Studios, Fort Houston, Ground Floor Gallery, threesquared and an after party at Track One. Look for a map at any participating gallery for the full list. 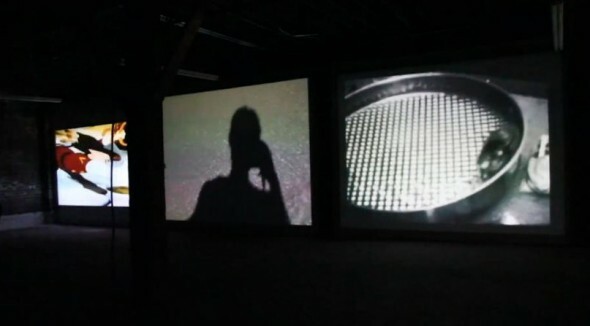 The crawl is from 5:30 p.m. to 9 p.m. Track One will stay open until 11:00 p.m.
Light Adapted – Projection Art by Black and Jones (Kell Black and Barry Jones), Jonathan Rattner, Kelli Hix, Morgan Higby-Flowers, Michael Hampton, Mika Agari, Zack Rafuls and Josh Gumiela. — Press release from Track One. If you liked our Bring Your Own Beamer show at Track One a few months ago or our ON/OFF electronic art show at S.N.A.P. 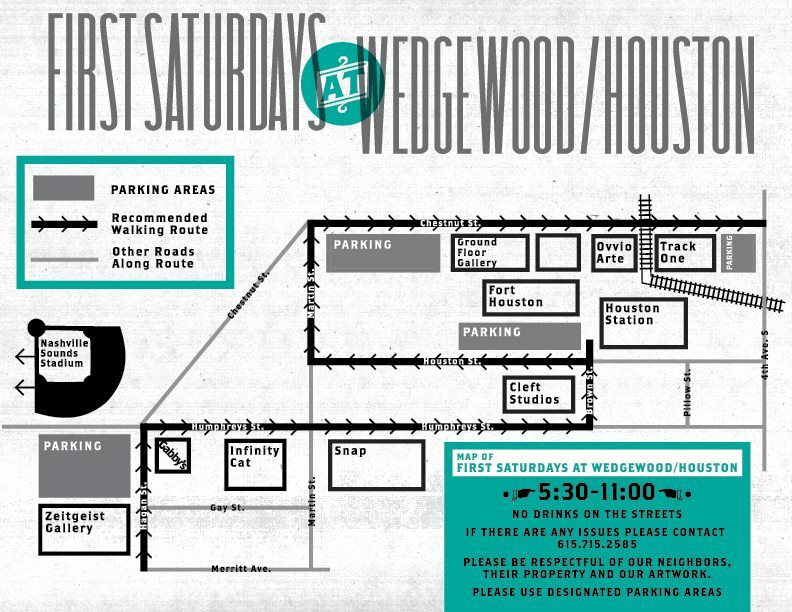 Center for the first Wedgewood/Houston art crawl, you’ll love this showcase of projection art. Curators Josh Gumiela and Morgan Higby-Flowers participated in those previous shows, and they have some amazing things cooked up for Saturday night. Trust me. Don’t miss this. Conditionally Human — A juried exhibition featuring Richard Brouillet, Chris Burks, Aletha Carr, Julie Cowan, Liz Heller, Kelly Hider, Ryan Hoevenaar, Laney Humphrey, Nathan Madrid, Elysia Mann, Miriam Norris Omura, Mary Robinson, Liz Clayton Scofield, Bridgit Stoffer, Denise Tarantino, Ross Turner, Jake Weigel, Cathleen Windham and Fotios Zemenides. This exhibition juried by University of Texas at San Antonio professor Libby Rowe is sure to be one of the highlights of the crawl. Bring Your Own Beamer and ON/OFF participant Liz Clayton Scofield will unveil a new work. Auniversal Picture – new large-scale drawings by Shelby Shadwell, Assistant Professor of Art at the University of Wyoming. 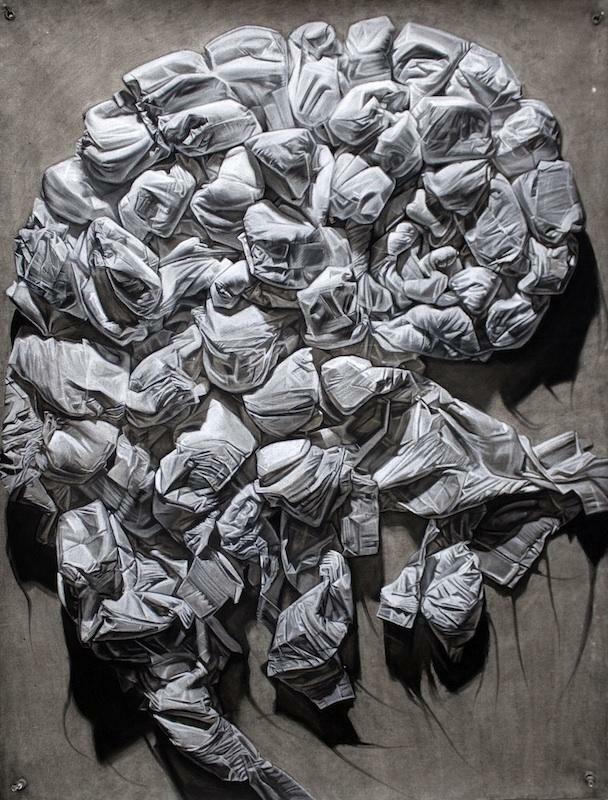 Shadwell actively exhibits across the nation and was recently featured in the International Drawing Annual 5 and 6 publications through the Manifest Creative Research Gallery and Drawing Center in Cincinnati, Ohio, where he had a solo exhibition in February 2013. — threesquared press release. Shade Models by Patrick DeGuira is made up of paintings, collage and sculpture and investigates the concepts of memory, time and language. It deals with the creation of impermanence in one’s historical makeup. Reckonings by Gieves Anderson is a series of images made by photographing wet paint. The photograph freezes the fleeting moment when the paint is at the height of it’s vitality and allows the artist to share an intimate, ephemeral moment in the life of a painting causing one to think about paint as something other than an end product. — Zeitgeist press release. Fort Houston is pleased to present Unit 2 (part 2): From the High Chair to the Electric Chair, an exhibition of a model society designed by David Duncan, Ron Cauthern, and other prisoners on Tennessee’s death row. Constructed from materials permitted by prison authorities, including painted cardboard, plastic, and pasted paper, the miniature city offers a view of the society from the standpoint of individuals it has condemned to death. In a series of episodic vignettes, it traces a dispiriting, but familiar path from the housing projects through the playgrounds and schools and ultimately to the prisons and execution chambers. In this piece, the artists describe a social landscape where a persistent lack of opportunity becomes an engine of criminality and incarceration, where the downtrodden are continuously subjected to surveillance and control, and where social and political failures destroy lives. Overall, the ensemble suggests that our courtrooms, prisons, and execution chambers will never be empty until our institutions take responsibility for society’s most vulnerable citizens. It argues that social and political failures inaugurate a cycle of poverty and incarceration that frequently repeats itself from one generation to the next. The diorama advances this critique while aspiring to introduce its audience to some of the dismal realities of contemporary poverty and imprisonment. As David Duncan had remarked, “I don’t want children today to learn about this cycle after they’re in prison.” — Fort Houston press release. Fort Houston will also feature multimedia artist Bill Vincent‘s amazing projection-mapped Nashville skyline.